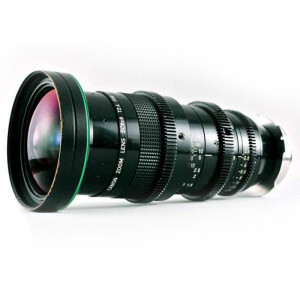 This is a high quality s16mm film lens and often the go-to lens for s16mm film work, like the Academy Award winning film ‘The Hurt Locker’. You can get fantastic results with this lens on the black magic pocket camera with an adapter, the F5 in cropped sensor mode, the FS7 in cropped sensor mode with an adapter and of course the Aaton XTR Prod. Canon called these lenses variable primes and they are optically to the standard you would expect from prime lenses. At the time, I spoke to somebody from Canon and they admitted they lost money on every lens made, they did it just to prove they could make a top end film lens.